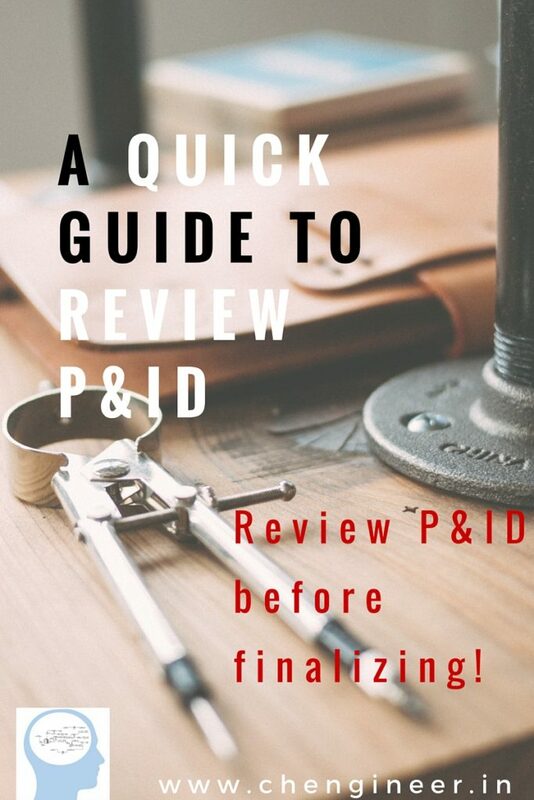 Are you a chemical engineer struggling to review P&ID? You can read the importance of P&ID in the first part of this series. Well, if you already know about those basic things, and you are asked to review one such P&ID in your company, we will move on to the next step. Sometimes it does happen that you have a technical interview wherein you are given a P&ID and asked to identify the mistakes. Irrespective of the situation checking and reviewing P&ID is a skill. Developing such skill will help you to go a long way. I hope you are getting it. One must abide by these three golden rules of P&ID under every circumstance. First – Review P&ID with a binocular view. Second – Review P&ID with a microscopic view. Start with the binocular view, and then later with a microscopic view. Refer the legend sheet. It’s always better to refer it instead of assuming. What is the scope of the project? Verify the extent of the project and that of a particular P&ID. Check whether the battery limit is mentioned appropriately or not. 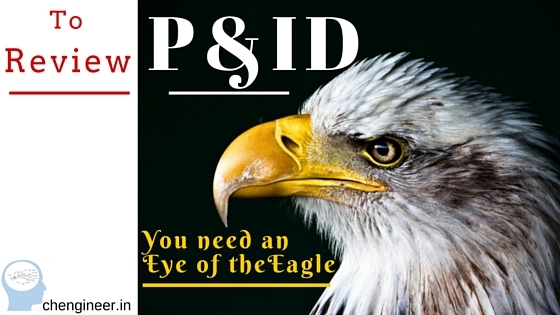 If there are many P&IDs (that is the case most of the time), kindly check, “From which P&ID” and “To which P&ID.” Are they in-line with the PFD? Make sure the connection of each equipment is as per the PFD. Are stream flags in-line with the PFD? The scope of the utility supply: Is it clearly indicating the Battery Limit for the Utility supply? Is the Utility P&ID tie in with the main document? Check client’s documents. Check vendor documents. Is there a vendor P&ID? Make sure you check and review that too. Is there any particular “Note” that needs your attention or any clarification? A single P&ID covers not more than 4 equipment so that it is easy to read, understand and review, that is what is generally followed unless stated otherwise. Is tagging as per the company’s tagging philosophy? Are all the pieces of equipment tagged? Do they reflect company tagging system? Each valve and instrument tagged and of course – Lines (but more on that in the later part of this post). Make sure there is no repetitions of tag number – This is quite critical, and sometimes you will find the repeats are frequent. There’s a good reason behind it. Most of the time the draughtsman tends to pick up the symbol or the tagging that is previously made in the same or different P&ID and thus end up repeating the tag number or with a mismatch, kindly check those tags carefully. Nowadays, many companies opt for Smart Plant P&ID, a software by Intergraph or COMOS by Siemens and thus helps to minimise such errors. Pipelines and any other such lines are the major part of any process. For a simple and logical reason, that fluid is transported through pipes. Whether it be a feed of raw material, utility supply or a nitrogen purging line, you talk about it, and there you got a pipeline. Then power supply line, piping, pneumatic lines and so forth. Check all the lines are matching with their respective symbols. As different line viz process connection, piping, pneumatic, electrical and so forth are symbolized differently. Additionally, do check it’s symbolized to what it is supposed to indicate. Tagging as per the philosophy. Some company prefers to show thickness, check if it’s required. Is the line fully specified? Can it be identified with its identification and tagging details? The line entering or leaving a P&ID shall indicate the continuation number of the P&ID. Check “slope” or “no pockets” are indicated wherever necessary. Tracing or jackets for pipes are indicated wherever necessary. Pipe number changes after a branch, change in material, make sure number changes under such cases. Verify if there’s a change in a piping material or piping class, give a different number. When lines cross, vertical lines break for horizontal lines, generally followed, unless stated otherwise. Whether a two different material welded or joined should be indicated by a double or a single perpendicular line, respectively. Safety valves – PSV is in place wherever necessary. Reducers are in place, wherever necessary. For instance, at the nozzle of suction and discharge of a pumps. Verify steam traps are provided wherever required. Drain and Vent lines are indicated. Sample valve provided if necessary. All “Holds” are specified or deleted. Are there any other error or mistakes? Rectify it. The most difficult task is to interpret instrumentation, it’s location and controls. Are instruments in place? Those should be marked appropriately with their specific notations and symbols. To review P&ID with a microscopic view involves a thought process that calls to review P&ID with your eyes, ears, and brain open. Start with one piece of equipment at a time. All connections appropriate? Verify with PFD, for major equipment connection. Appropriate nozzle allocated for inlet and outlet? Are spectacle blinds in place? Vent and Drain line in place? Does it require Manhole or a Handhole for cleaning and maintenance, if yes, then is it indicated? Does this vessel need a PSV? If yes, is it shown and indicated as per the terminology? Verify control loops are in a place where necessary. Does it require Overflow line or Blanketing line? If there’s a minimum recirculation line from discharge pump, does it show appropriately? All set? Can you take water trial without any problem? Can you take a chemical trial or process run, will it be safe and smooth run? Valves are tagged with appropriate “NO” or “NC” (Normally Open/Closed). Instruments in place? Are they indicating location, whether or not accessible to the operator and so forth? Any ambiguity must be clarified instead of assuming something. This guide post is just a tip of the iceberg. A lot goes beyond saying and writing when one review P&ID. Want to add something? Share in the comment section. Sumit Asrani works as a freelance process simulation trainer. Fosters technical and simulation skills of chemical engineers across the country. Are you a chemical engineer looking for ways to get started? You will receive an email whenever a new article is published. Very Useful article for young chemical engineers.. 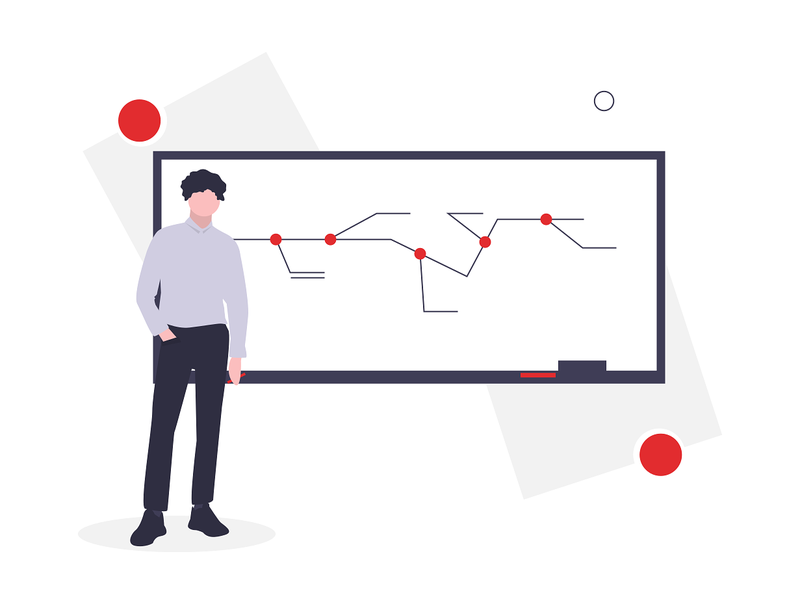 Learn how to develop a model of a process.